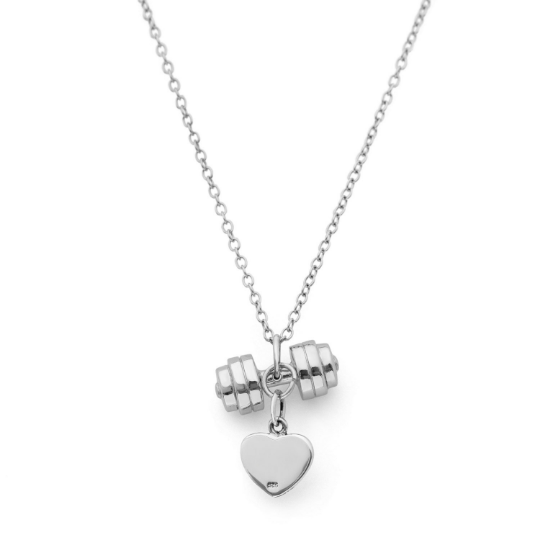 For the special occasion, Fit Selection decided to make this beautiful pendant + charm combination – Lady triple plate dumbbell with a heart charm Love to Lift edition. This small version of well known Triple plate dumbbell fit perfectly with the small heart charm, of course all made with the finest 925 Sterling Silver. 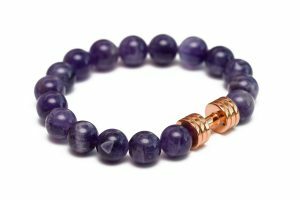 This will be a special gift for your favorite Fit girlfriend / fit mom or a nice holiday treat for yourself. 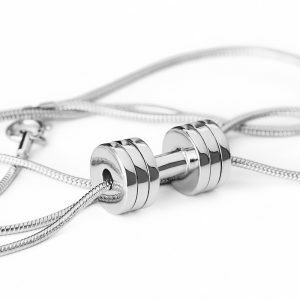 Triple plate dumbbell will be a perfect motivation to keep up with the Fit lifestyle plans and a heart charm will make this necklace even more special. Being made from Sterling Silver, this necklace will last long and will become your favorite piece of jewelry to wear. 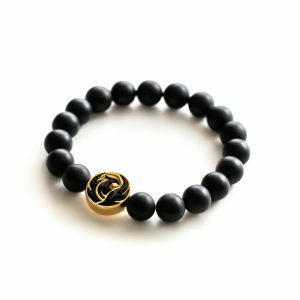 If you want this item even more personalized, you can upgrade while ordering to have the initials hand stamped on the heart charm. In case you decide for this option, please don’t forget to leave us comment in “the message for seller” option explaining which two letters you wish to have engraved. 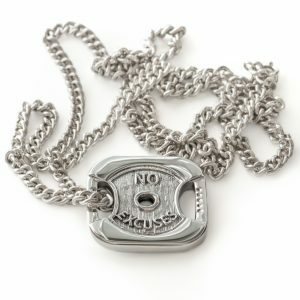 Dumbbell necklace will be shipped to you in an elegant Fit Selection gift box, being ready to become a special present.